My eye gets drawn to gauges and displays on devices as I’m curious about not just what they’re showing but also for whom the information is intended. I can also tell you that for at least ten years, perhaps longer, the electronic signs on some of the buses running the Number 10 route in Bath have been buggy. Instead of displaying “10 Southdown” they read “(ode1fsOs1ss1 10sit2 Southdown)” with a flashing “s” in “sit”. Yes. I wrote it down. I was curious about whether it was some misplaced control codes, but I couldn’t find a reference. Having spent so long working on data integration and with technologies like Linked Data, I’m also curious about how people assign identifiers to things. A lot of what I’ve learnt about that went into writing this paper, which is a piece of work of which I’m very proud. It’s become an ingrained habit to look out for identifiers wherever I can find them. 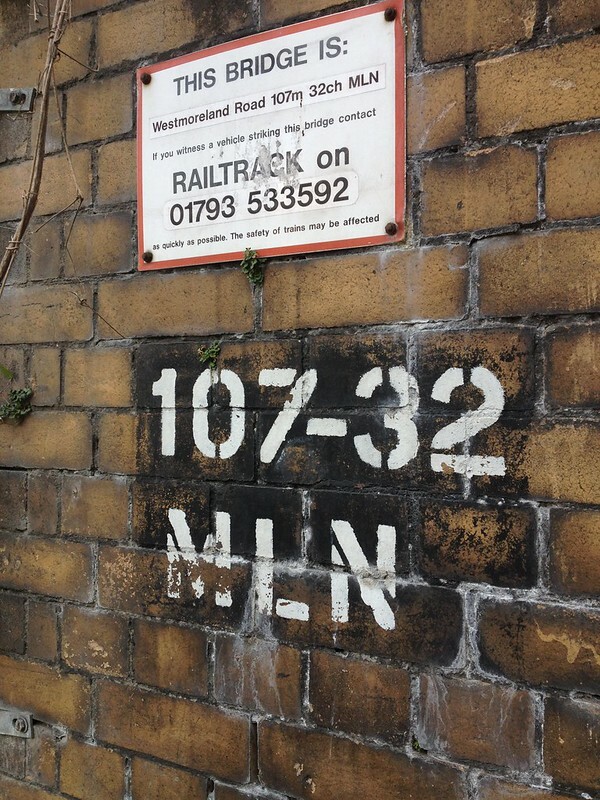 It’s not escaped me that this is pretty close to train spotting, btw! I’ve also recently started contributing to Bath: Hacked, which is Bath’s community-led open data project. 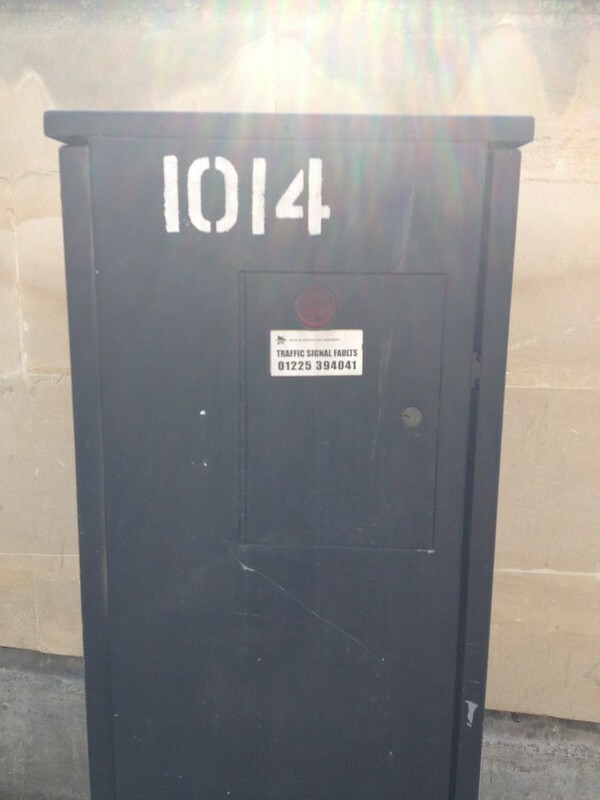 Its led me to pay even closer attention to the information around me in Bath, as it might turn up some useful data that could be published or indicate the potential for a useful digital service. So to try and direct my “data magpie” habits into a more productive direction, I’ve started on a small project to photograph some of the information and data I find as I walk around the city. There are signs, information and data all around us but we don’t often really notice it or we just take the information for granted. I decided to try to catalogue some of the ways in which we might encounter data around Bath and, by extension, in other cities. The entire set of photos is available on Flickr if you care to take a look. Think of it as a natural history study of data. In the rest of this post I wanted to explore a few things that have occurred to me along the way. Areas where we can glimpse the digital environment and data infrastructure that is increasingly supporting the physical environment. And the ways in which data might be intentionally or incidentally shared with others. For most people data is ephemeral stuff. It’s not something they tend to think about even though its being collected and recorded all around us. While there’s increasing awareness of how our personal data is collected and used by social networks and other services, there’s often little understanding of what data might be available about the built environment. If something has an identifier then there will be data associated with it, creating a record that describes that object. As there is very likely to be a collection of those things then we can infer that there’s a database containing many similar records. Once you realise all of these databases exist it’s natural to start asking questions such as how that information is collected, who is responsible for it, and when might it be useful? There are databases everywhere and people are employed to look after them. 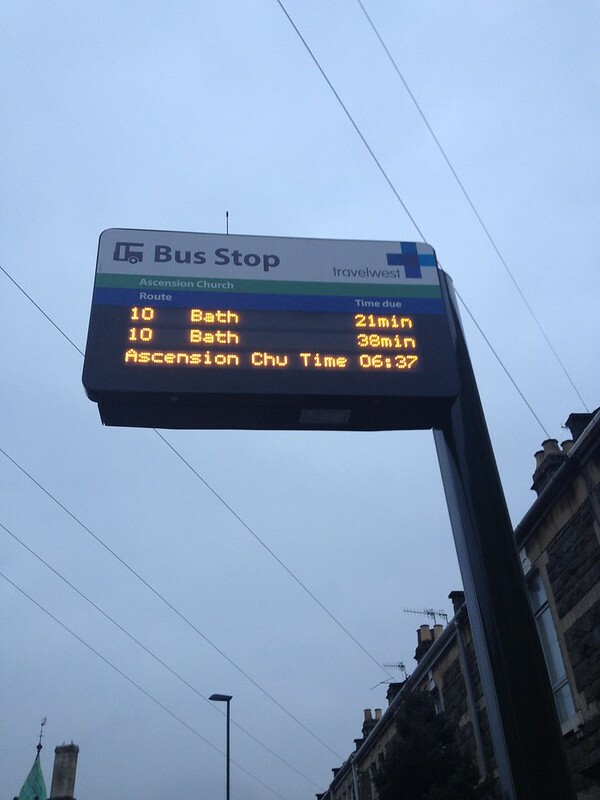 @travelwestEng the new electronic Ascension Church bus sign in bath isn't showing all of the scheduled No. 10 buses. Can you fix? My morning bus, the one that begins my commute to the Open Data Institute, is often not listed. I’ve had several morning conversations with Travelwest about it. Although, evoking Hello Lamppost, it feels like I’ve been arguing with the bus sign itself and would like to leave a note to others to say that, actually yes the Number 10 is really on its way. I’m suddenly concerned that they may do away with that helpful paper sign. The real-time information feed exposes problems with data management that wouldn’t otherwise be evident. Real-time doesn’t necessarily always mean better. Interestingly Travelwest have an FAQ that lists a number of reasons why some buses won’t appear on the RTI system. This includes the expected range of data and hardware problems, but also: “The bus driver has logged on to the ETM incorrectly, preventing the journey operated being ‘matched’ by the central RTI system“. So it turns out that bus drivers have a key role in the data governance of this particular dataset. They’re not just responsible for getting the bus from A-B but also in ensuring that passengers know that its on its way. I wonder if that’s part of their induction? In other cases the information is presented as an indication that a process has been completed successfully, such as gaining a premises licence, liability insurance or an energy rating certificate. If this information is being put on physical display then it’s natural to wonder whether there are digital versions that could or should be made available. Also, in the majority of cases, making this information availability digitally would probably be much better. There are certainly opportunities to create better digital services to help engage people in these processes. But in order to be inclusive I suspect paper based approaches are going to be around for a while. What would a digital public service look like that provided this type of city information, both on-demand and as notifications, to residents? The information might already be available on council websites, but you have to know that it’s there and then how find it. Interestingly, not all of the information we can find around the city is intended for wider public consumption. It may be published into a public space but it might only be intended for a particular group of people, or useful at a particular point in time, e.g. during an emergency such as this map of fire sensors. Most of the identifier examples I referred to above fall into this category. Only a small number of people need to know the identifier for a specific bin, traffic light control both, or bridge. It also means that information may often be provided without context as the intended audience knows how to read it or has the tools required to use it to unlock more information. This means to properly interpret it you have to be able to understand the visual code that is used in these organisational hobo signs. 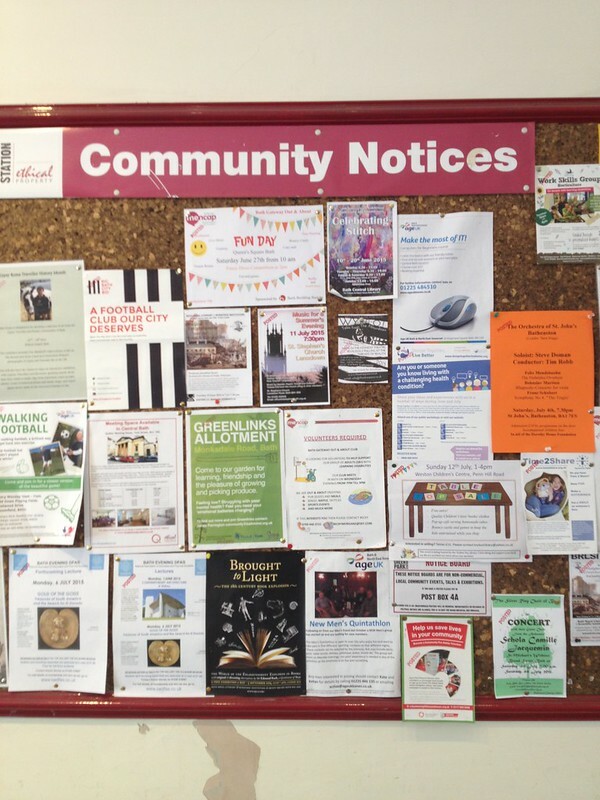 The first is a community notice board. Anyone can come along and not only read it but also add to the available information. It’s a piece of community owned and operated information infrastructure. This manually updated map of the local farmers market is another nice example, as are the walls of flyers and event notices at the local library. The second example is a sealed unit. 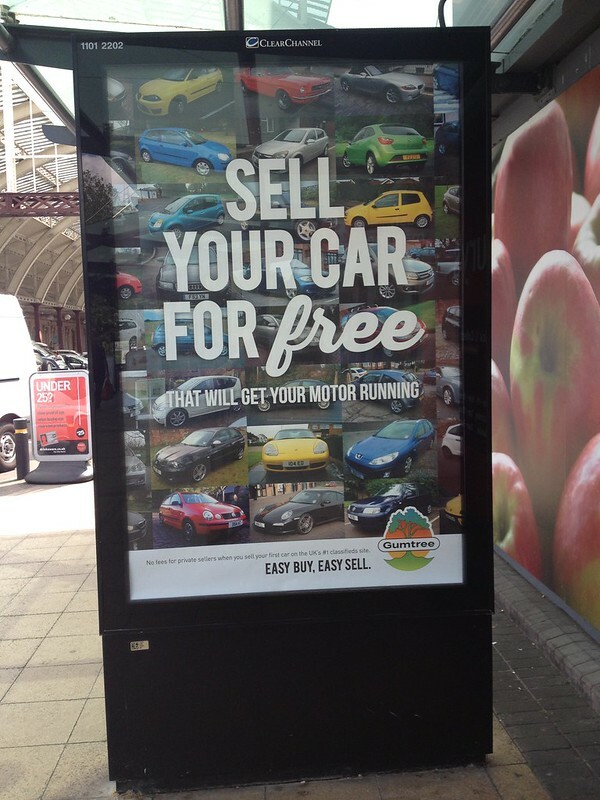 It’s owned and operated by a single organisation who gets to choose what information is displayed. Community annotations aren’t possible. 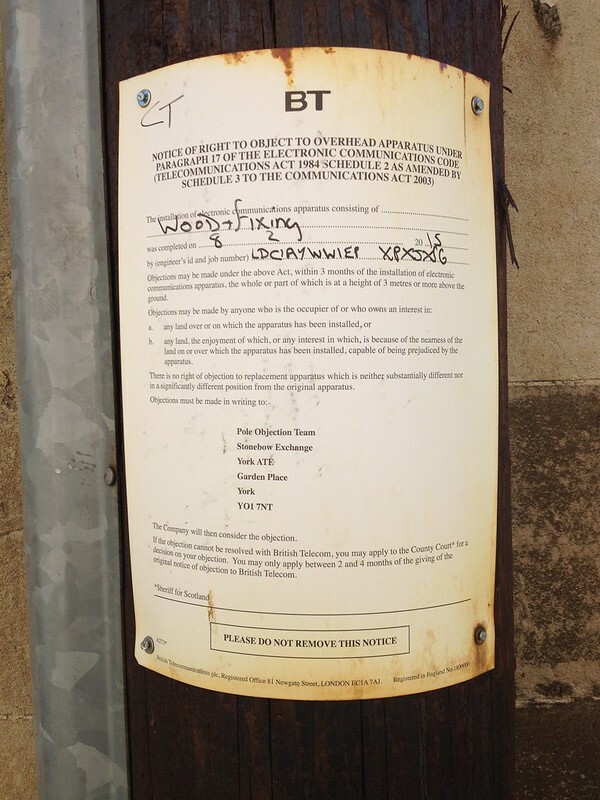 There’s no scope to add notices or grafitti to appropriate the structure for other purposes – something that you see everywhere else in the city. This is increasingly hard to do with digitial infrastructures. In my opinion a truly open city will include both types of digital and physical infrastructure. I dislike the top-down view of the smart city and preview the vision of creating an open, annotable data infrastructure for residents and local businesses to share information. In this rambling post I’ve tried to capture some of the thoughts that have occurred to me whilst taking a more critical look at how data and information is published in our cities. I’ve really only scratched the surface, but it’s been fun to take a step back and look at Bath with a slightly more critical eye. I think it’s interesting to see how data leaks into the physical environment, either intentionally or otherwise. Using environments that people are familiar with might also be a useful way to get a wider audience thinking about the data that helps our society function, and how it is owned and operated. It’s also interesting to consider how a world of increasingly connected devices and real-time information is going to impact this environment. Will all of this information move onto our phones, watches or glasses and out of the physical infrastructure? 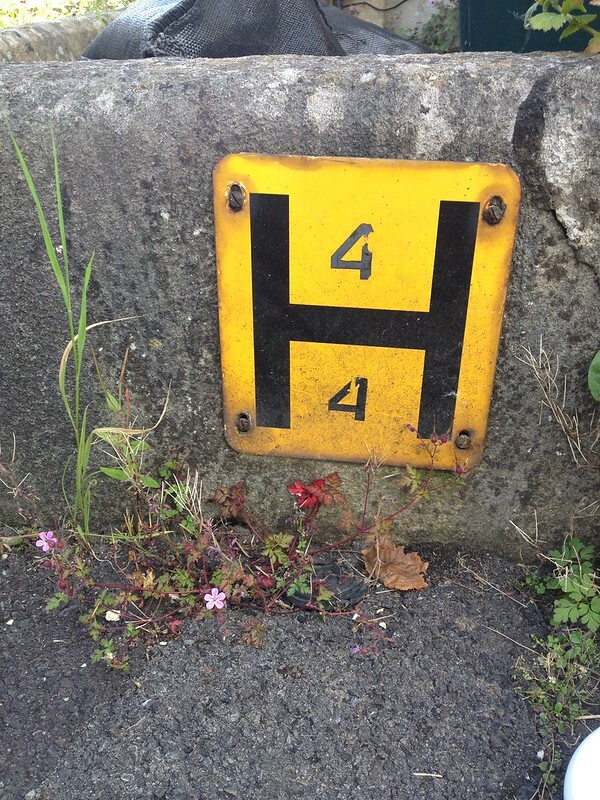 Or are we going to end up with lots more cryptic icons and identifiers on all kinds of bits of infrastructure? Next Post How and when can UPRNs be a part of open data?